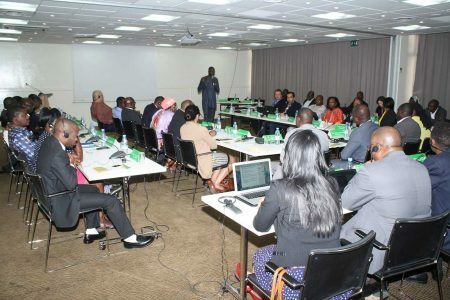 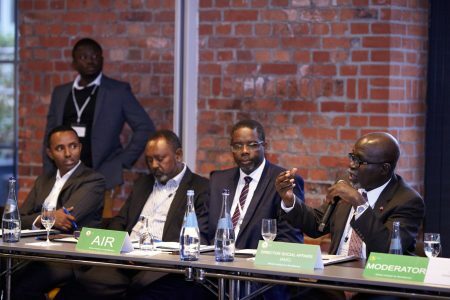 Creating an Enabling Environment for Up-scaling the Potential Impact of Remittances: A Multi-Stakeholder Approach The African Institute for Remittances (AIR) in collaboration with Europe-Based Diaspora Organizations will convene the 3rd Diaspora Engagement Forum in The Hague, The Netherlands on May 2 – 3, 2019. 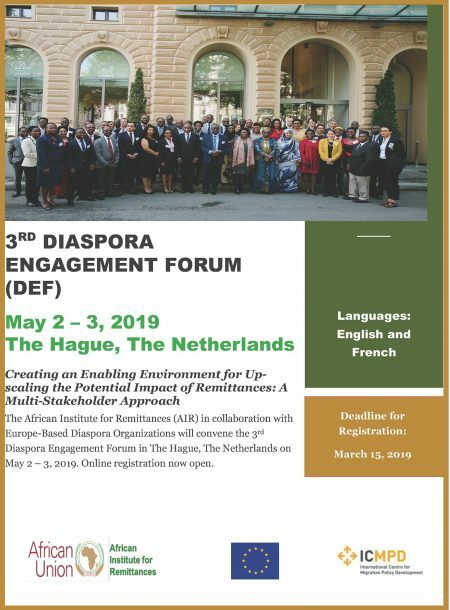 Online registration now open. 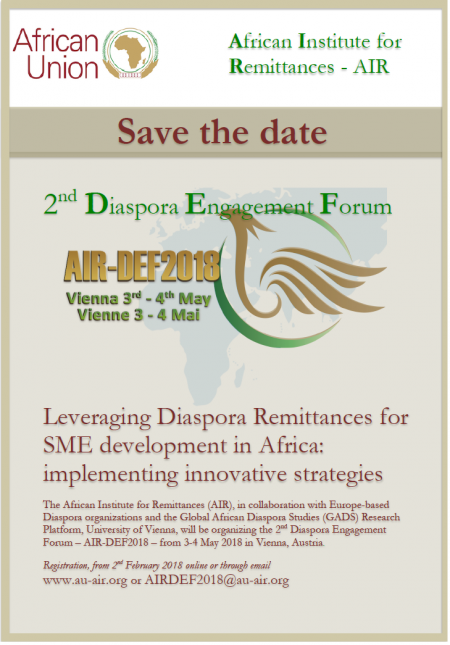 Enquiries and requests for sponsorship should be sent to: AIRDEF2019@au-air.org.